Imagine an island right in the middle of the Indian Ocean, with bright white beaches, a lagoon awash in deep blues and aquamarines, and soaring coconut palms swaying in the breeze. 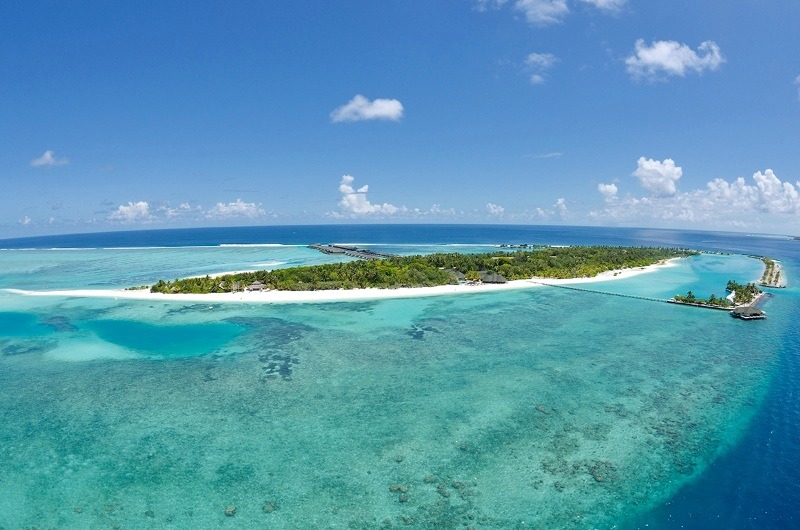 This is paradise - Paradise Island Resort & Spa to be precise, an uncompromising destination of luxury and comfort. A network of paved pathways winds through the lush grounds, connecting the oceanfront accommodation , gourmet dining spots , sports facilities , and an inspiring spa - each serving to make your Maldives island resort holiday whatever you'd like it to be. Treat yourself to true tropical-inspired luxury at this alluring Maldives island hotel, where unforgettable experiences await. Blending modern luxury and comfort with tropical allure, each of the stylish Maldives island accommodation at Paradise Island Resort & Spa faces the sun, sea, and sand. Unwind in one of our spacious, sun-filled rooms, featuring an authentic native decor and private veranda. Take just a few steps and you will find yourself on the pristine beach. A few more and you are in the refreshing lagoon that encircles the island. Inside, our Maldives accommodation features everything necessary for an extraordinarily relaxing experience – from tastefully designed rattan furniture, satellite television, and air conditioning to ambient lighting and a stocked minibar.